Meet and greet by our airport representative who will transfer you to your Hotel. Overnight stay at Eka Hotel - Bed and Breakfast. After breakfast check out and drive to Namanga border, after migration formalities drive to Arusha for lunch. There after proceed to Lake Manyara National Park. Dinner and overnight at Lake Manyara Serena Lodge – Full board. Breakfast, Drive through the Isebania border point and Continue to Maasai Mara arriving In the evening, picnic lunch served en-route. Enjoy an evening game drive enroute to the Camp. Dinner and overnight stay at Elangata Olerai Camp - Full Board. 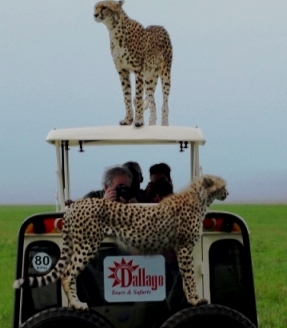 Copyright© Dallago Tours and Safaris. 2018. All Rights Reserved.